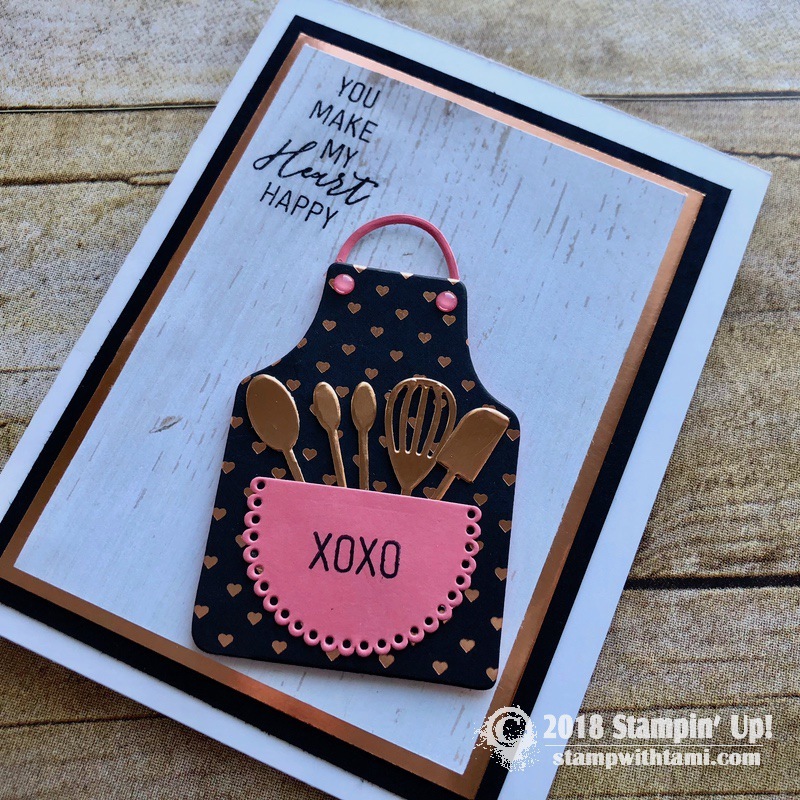 On today’s live online class we’ll be making this fun “his and hers” baker/grill card set using the January Stampin Up “Heartfelt Love Notes” Paper Pumpkin Kit and the Apron Builder dies. I added some Wood Textures Designer Paper, Copper/Silver Foil to complete the cards. 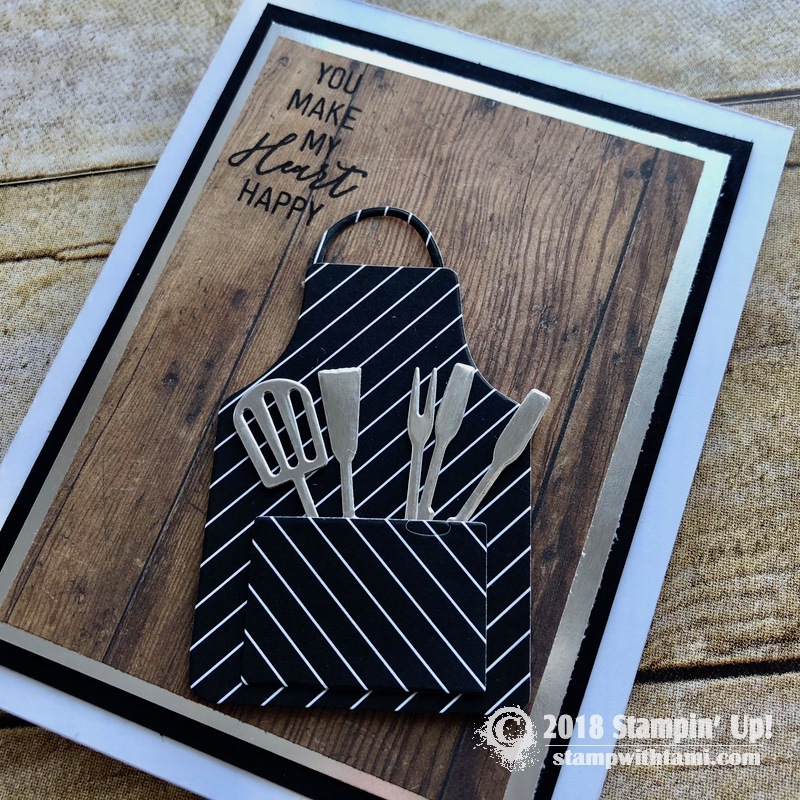 Super easy and fun to make, these cards work for some many occasions. Valentine’s Day for your favorite chef, birthday, Father’s Day and so much more. Inspired by Gail Murray. I will be live on Facebook at noon EST today creating this fun class with you for free. Join me live and be part of the fun, win prizes and more. If you can’t make it live, this video replay will be on here on my blog, Facebook , Youtube and Vimeo, along with an “after live” drawing (below). I wanted to do something special for my $2Million Dollar customer as part of my “Countdown to $2Million Sales” celebration. 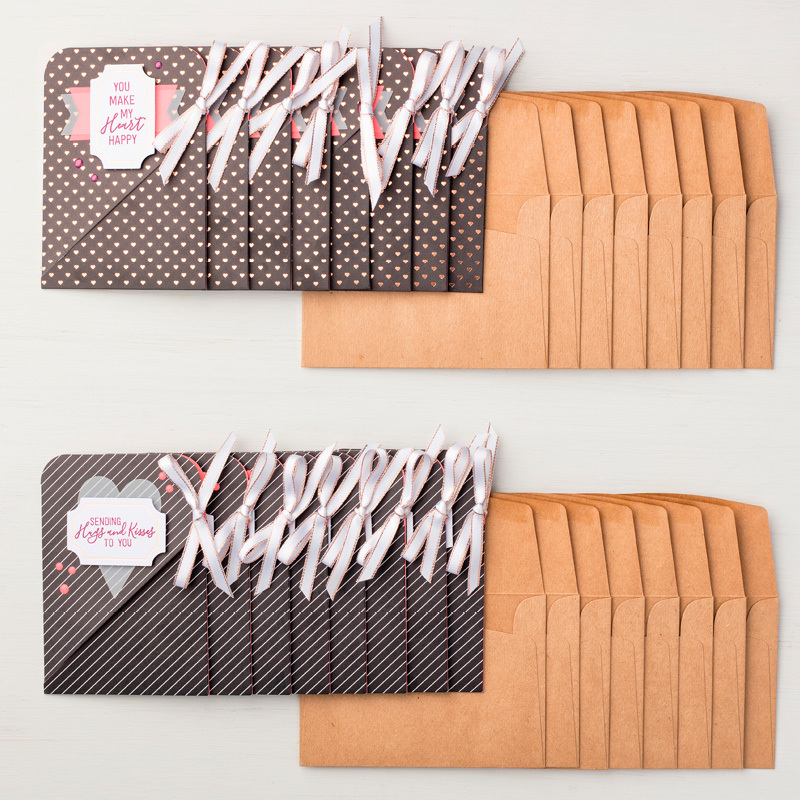 It’s getting very close, and it’s looking like the February 11 Paper Pumpkin kit subscribers may be the winners! Since there is no way for me to really tell exactly which Paper Pumpkin Subscriber is the actual $2,000,000 customer, I’m going to send all of my February Paper Pumpkin subscribers a free package of Pearl Jewels as my way of saying THANK YOU for making history with me!!! 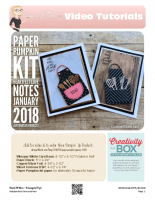 You must be an active Paper Pumpkin subscriber with me on or by Feb 10, when the Paper Pumpkin kits process your payment must be current and the kit must ship in the Feb 11 run (double check your payment is up to date). It doesn’t matter if you have a pre-paid or regular subscription, as long as you are not paused or canceled and the kit ships. I will ship your gift on Feb 22. Every month I go “outside the box” with an alternate project. This is where I show you how to create the projects as they come in the box. Or more importantly, what “not to do” when creating your kit. So much fun, surprises and prizes opening this box. This is a video comment entry giveaway. Winner drawn on February 23. To enter, simply click over to the video on Facebook or YouTube, and leave a comment. No purchase necessary. Such a cute idea for that die set.You are always so informative.